Greg Karp is an author and journalist of 20 years. His national newspaper column, 'Spending Smart,' is published in papers that together have millions of readers. The weekly column appears in the Chicago Tribune, Baltimore Sun, Hartford Courant, Orlando Sentinel, Allentown Morning Call, and others and has twice won a Best Column Award from the Society of American Business Editors and Writers. 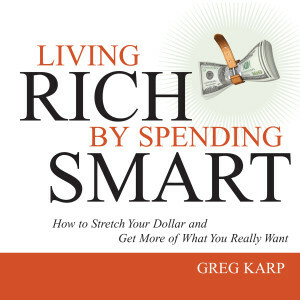 Greg's advice on spending money smarter has appeared in national magazines, such as Newsweek and SmartMoney; television broadcasts, such as WCBS in New York, WSB in Atlanta, and WPVI in Philadelphia; and literally dozens of newspapers nationwide, from the Los Angeles Times to Newsday in New York.He is a frequent radio guest. Greg lives near Philadelphia with his wife and two sons.